Besides being a composer and musician I also work in the IT / computers field. Coming into contact with computers through music in the first place I understand pretty well what problems and wishes "normal" users are facing. One of my strengths is my ability to translate the often uncomprehensable structure and mode of operation of computers and their applications into everyday speak the user understands. In return this helps him or her with his/her daily work. On the other hand I am able to understand the needs and lack of clarity on the user's side. Finding solutions connects the two "worlds" and gets rid of misunderstandings. My clientele is made up of self-employed workers, freelancers, SMBs, artists (incl. musicians) and private customers. I work with Apple computers and Windows PCs. My application area is purchase advice, installation, training, maintenance and support (via phone, remote access or on location). You can call me on weekends and also in the evening or early morning. When possible I will pick up the phone. Triggered by the iPhone and iPad I have been exploring Cloud Computing for some time now. The term means providing data on the internet and being able to access it from everywhere in the world. This makes in-house servers partly obsolete and adds additional safety against business interruption. Being able to use my office wherever I am is a concern I have for myself and modern technology does make it a reality. For supporting needs of Linux or Windows servers I cooperate with two partners who are experts in this field. I also engage in social media like Twitter, Facebook, YouTube etc. which is becoming more and more important for brands and companies. Should you have programming needs for your website I can support you there as well. Having a sound studio from my occupation as a musician I can also support you with individual phone messages, call waiting music or commercials. In case you wonder: The strange graphics at the beginning of this text is a so called QR code that includes the data of my business card. 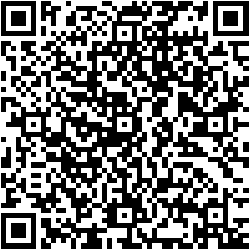 With a smartphone and the right app you can scan this code and save my contact data without having to type it in. Go ahead and try it! Should you be interested in my expertise I	am looking forward for you to contact me. After so many words here are some pictures of weird screen messages that I have come across.